One of the most important pieces of jewelry a person will purchase is an engagement ring. For men this is a symbol of their love and the promise of commitment they choose for the woman they want to marry. 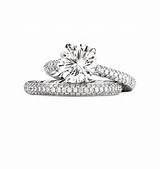 For a woman, this is a symbol of the promise to spend the rest of her life with the man she loves. 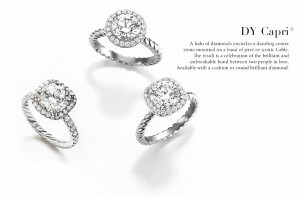 David Yurman engagement rings are dazzling and each one is custom made. His rings are made in platinum as well as 18k yellow gold. 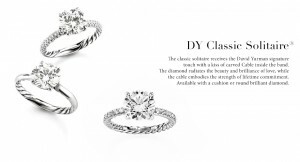 The various styles offer a stunning selection of sparkling rings that any woman would love. These striking rings are available in David Yurman boutiques. The quality of any diamond is determined by the Cut, Clarity, Color, and Carat weight. The value of a diamond is not determined by the carat weight alone. Large diamonds are valuable only if other fine diamond characteristics are present. The highest clarity rating is Flawless meaning it has almost no inclusions. First grade stones are Slightly Included and are still considered valuable. Colorless is the best color a diamond can be and next is Near Colorless. Cut refers to the precision of facets, polish, proportion, and symmetry of a diamond, which contribute to the brilliance of the stone. 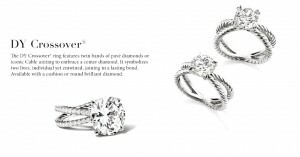 David Yurman uses diamonds from the highest ends of the Four Cs. Only the best diamonds are used to create the spectacular David Yurman rings. These diamonds are all GIA certified for the highest levels of quality. The diamonds are chosen and sourced exclusively from sources that adhere to the Kimberley Process, which is a coalition designed to stop the flow of conflict diamonds. The diamonds are cut for beauty no matter how much of the rough diamond may be sacrificed. The Capri selection of engagement rings features a glittering center stone surrounded by a halo of diamonds. The center stones available in this set are a round brilliant or cushion diamond. 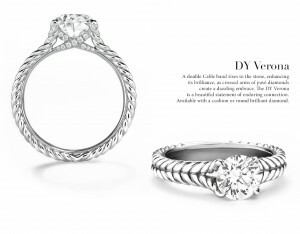 The bands are the iconic Cable or a band of pave that displays the setting beautifully. 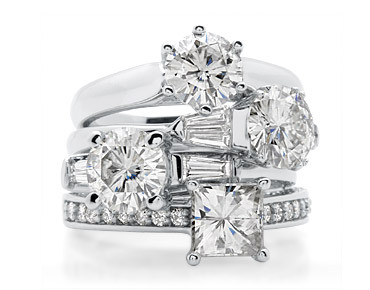 Any of the halo engagement rings will shine as a symbol of love on any woman’s finger. 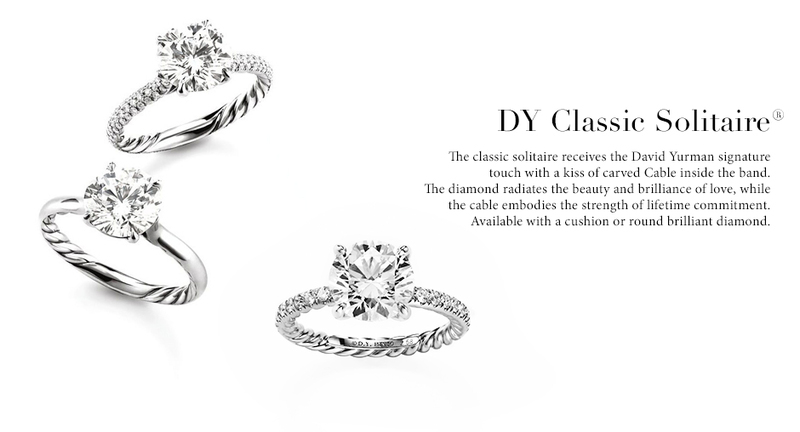 One of the dazzling Classic Solitaires has a band with carved Cable on the inside of the band that embodies the strength of lifetime commitment. Another design has accent diamonds on the band. 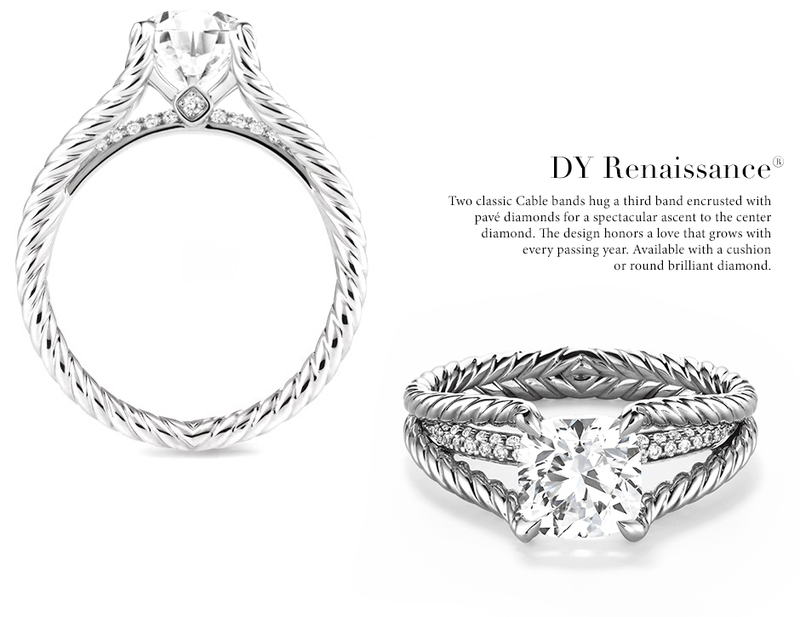 The Cable Solitaire displays a brilliant diamond in the center of a Cable band. The center stones either are a round brilliant or cushion diamond. The Virage has a unique design featuring a band of two pave diamond rows. The stunning rows are elegantly entwined. 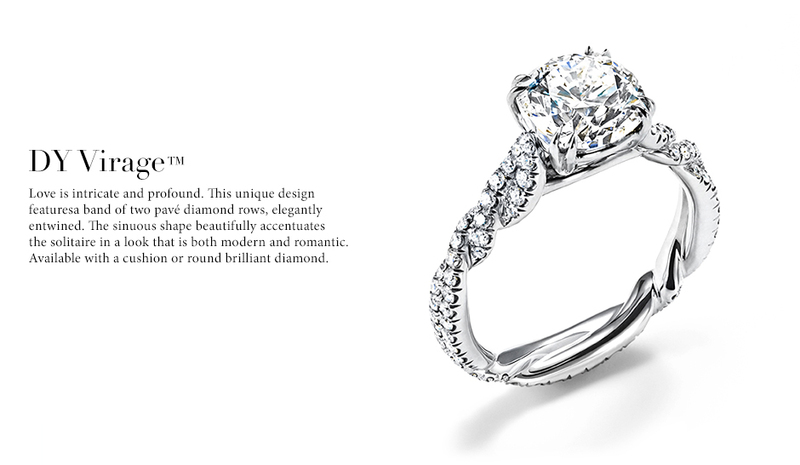 The ring has a romantic yet modern look. 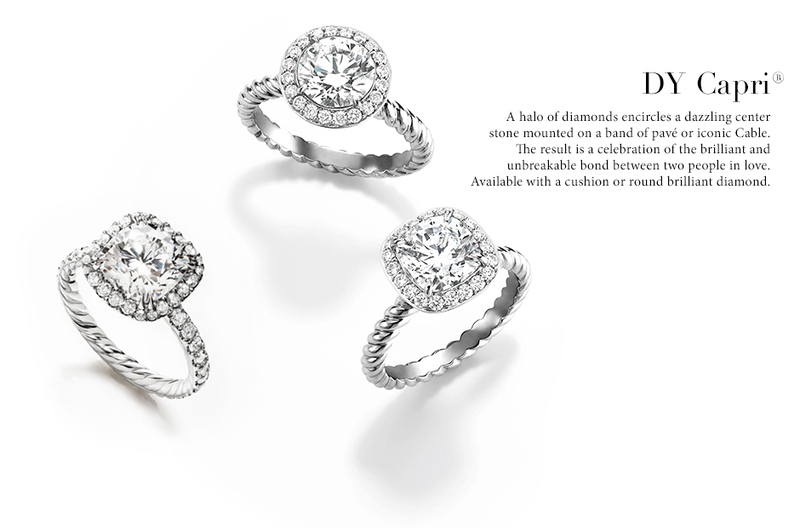 The center stone is one of the David Yurman round brilliant or cushion diamonds. The lovely Crossover ring has striking twin iconic Cable bands. 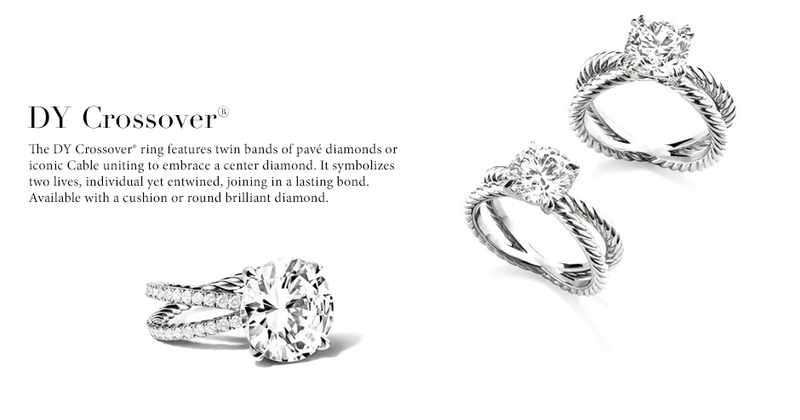 The other selection of Crossover rings has sparkling pave diamonds on the twin bands. 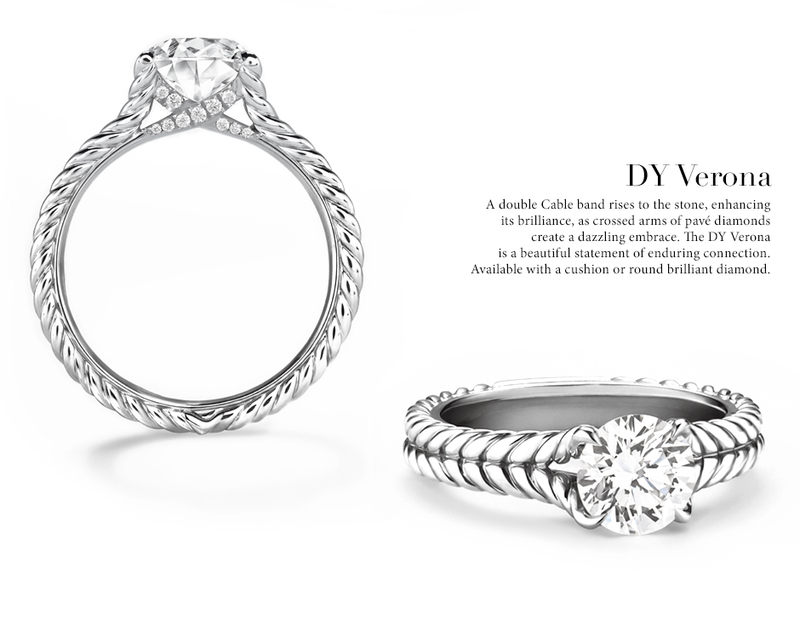 The twin bands crossover at the bottom and under the center stone for a stunning effect. The rings symbolize two lives joining in a lasting bond. It is available with a cushion or round brilliant center stone. The Verona is a lovely statement of enduring connection. 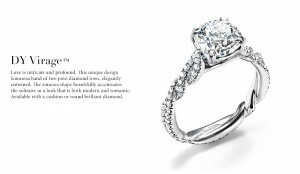 It features a double Cable band that enhances the brilliance of the center diamond. Pave diamonds cross under the center stone for a charming look and blending perfectly with the Cable band. The Verona either is available with a round brilliant or cushion center diamond. 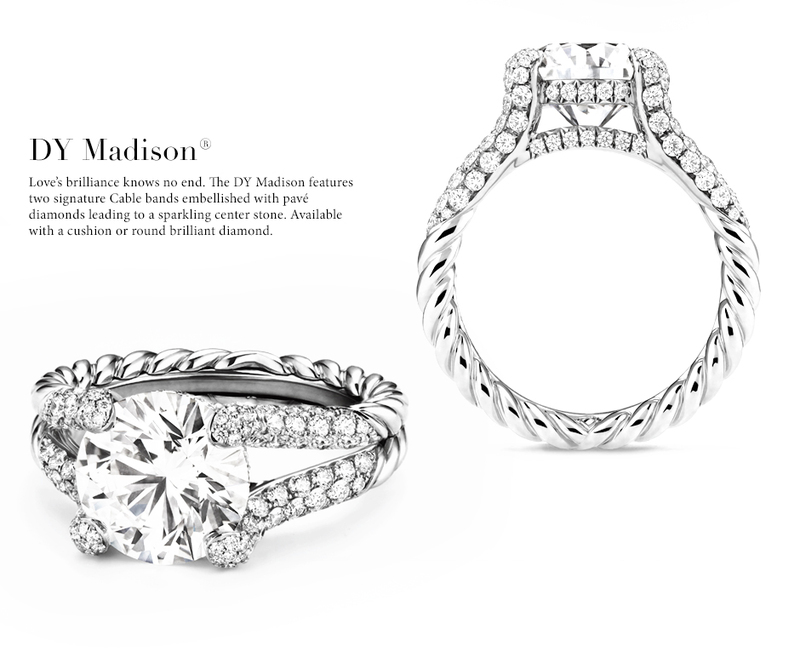 The Madison blends rows of pave diamonds and the iconic Cable in a band that sparkles brilliantly. 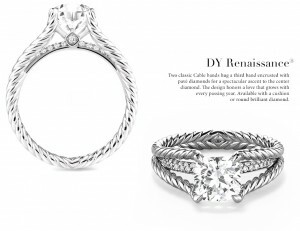 There are two Cable bands embellished with the pave diamonds in a split shank. 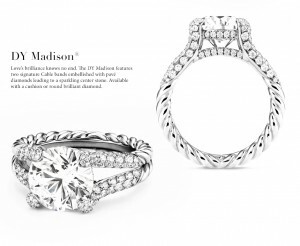 The accent diamonds surround the round brilliant or cushion center stone for added sparkle. The enchanting ring will look lovely on any woman’s finger. The Renaissance features two classic Cable bands with an elegant split shank. A third band of pave diamonds sparkles from between the two split Cable bands for a dramatic look. 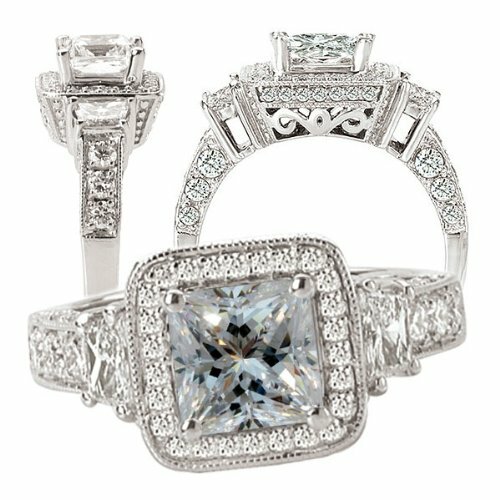 The center stone is displayed in a beautiful setting with side accent diamonds. This design honors a love that grows with each passing year. 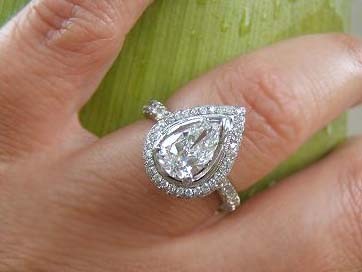 A cushion or round brilliant diamond is available for the center stone. David Yurman engagement rings are available with vivid colored gemstones. 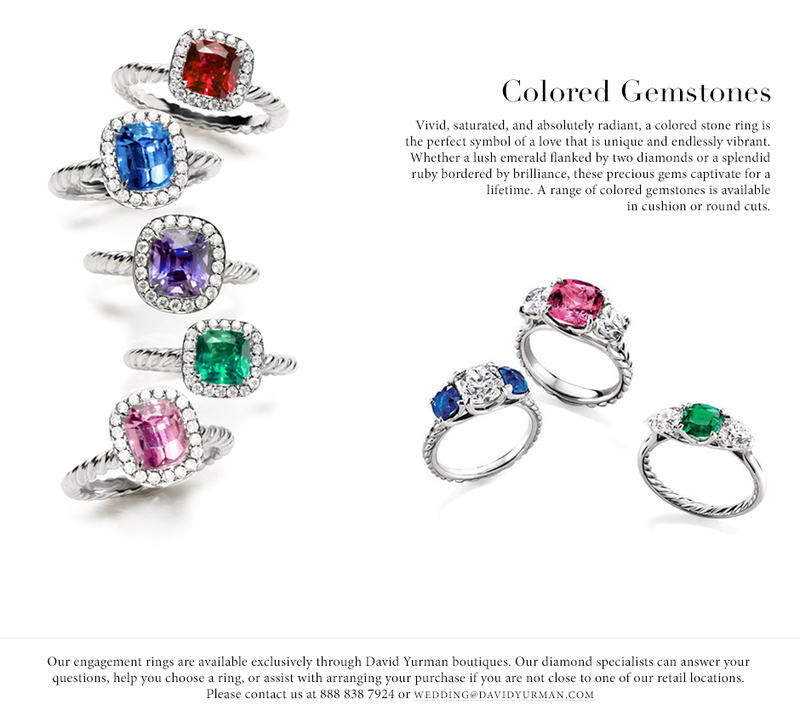 A ring with a radiant colored stone is a unique choice for a symbol of love. The gemstones include emeralds, rubies, and sapphires in round or cushion cuts. 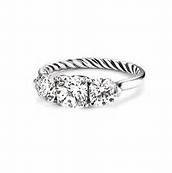 Rings have the signature Cable or pave diamond bands. Settings include lovely halos surrounding the beautiful gemstones. A three stone setting of a gemstone flanked by diamonds is available.